Zytron® 500 is top of the class – and the classic responder choice for hazmat and other demanding situations. Zytron® 500 is the classic emergency responder choice for hazmat response and other demanding situations. It's tough, built for mobility, and based on patented technology that created the first material to survive eight full hours against the ASTM F1001 Test Battery with no breakthrough. 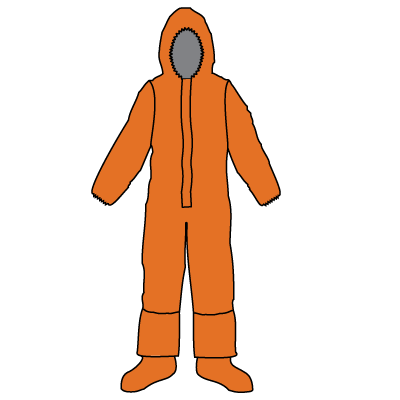 Now with an extensive chemicals-tested list numbering in the hundreds, it's no wonder that responders around the world trust Z500 garments for ultra-demanding Level A and Level B applications. Greater than 8-hour holdout against hundreds of chemicals, plus proven holdout against Chemical Warfare Agents (CWA). Several NFPA certified styles available. 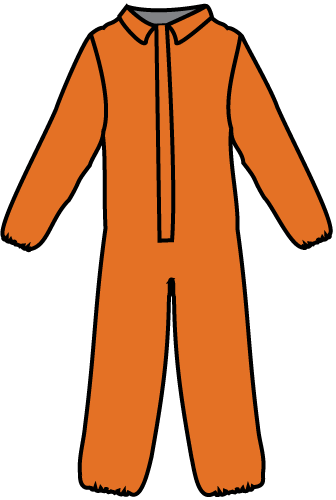 Available in two colors, hi-viz orange and charcoal gray. AntiFog Expanded-View Visor System is standard on gas-tight styles. 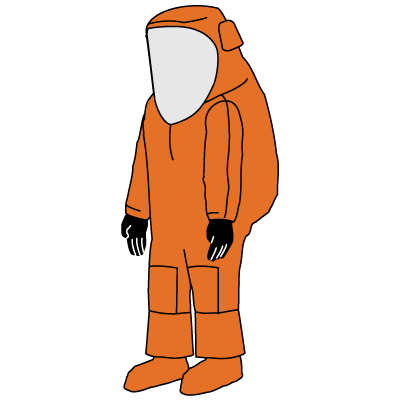 2N1® Glove System on Hazmat styles eliminates the problem of inner glove inversion. 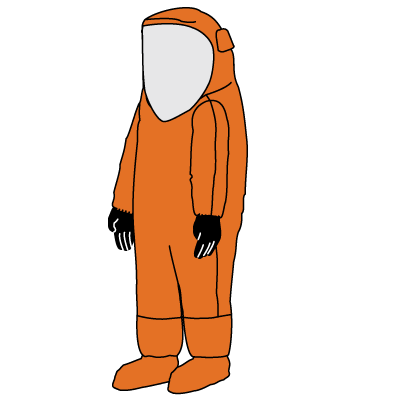 Hazmat styles include seams that are sewn then double heat sealed/taped. Softer pliable fabric enhances comfort for extended wear applications. 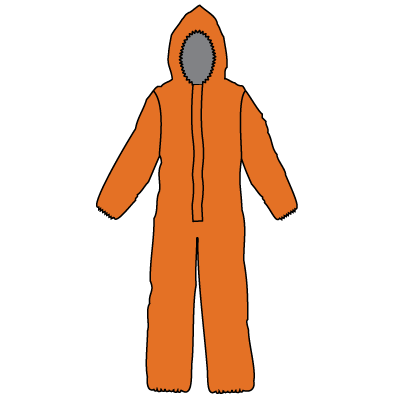 Available in wide range of styles from coveralls to total encapsulating suits. Typical Applications: Hazmat response, chemical handling, refueling operations, petrochemical refinery operations, hazardous material clean-up and remediation, CWA incineration, remediation and disposal. 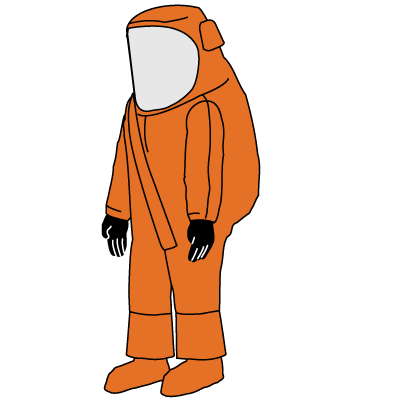 Rear Entry, Expanded Back, Expanded View AntiFog Visor System, 1 Exhaust Port, Elastic Wrists, Attached Sock Booties with Splash Guards, Single Heat Sealed/Taped Seams, Double Storm Flaps with Hook and Loop Fasteners & Cloth Zipper. Rear Entry, Flat Back, Expanded View AntiFog Visor System, 1 Exhaust Port, Elastic Wrists, Attached Sock Booties with Splash Guards, Single Heat Sealed/Taped Seams, Double Storm Flaps with Hook and Loop Fasteners, Cloth Zipper & Side Air Inlet. Front Entry, Expanded Back, Expanded View AntiFog Visor System, 2 Exhaust Valves, 48” Gas-Tight PVC Zipper, Double Storm Flaps with Hook and Loop Fasteners, Attached Sock Booties with Splash Guards, Heat Sealed/Taped Seams & Field Replaceable Butyl Gloves. Rear Entry, Expanded Back, Expanded View AntiFog Visor System, 2 Exhaust Valves, 48” Gas-Tight PVC Zipper, Double Storm Flaps with Hook and Loop Fasteners, Attached Sock Booties with Splash Guards, Heat Sealed/Taped Seams & Field Replaceable Butyl Gloves. Front Entry, Flat Back, Expanded View AntiFog Visor System, 2 Exhaust Valves, 48” Gas-Tight PVC Zipper, Double Storm Flaps with Hook and Loop Fasteners, Attached Sock Booties with Splash Guards, Heat Sealed/Taped Seams & Field Replaceable Butyl Gloves. Rear Entry, Flat Back, Expanded View AntiFog Visor System, 2 Exhaust Valves, 48” Gas-Tight PVC Zipper, Double Storm Flaps with Hook and Loop Fasteners, Attached Sock Booties with Splash Guards, Heat Sealed/Taped Seams & Field Replaceable Butyl Gloves. HazMat Front Entry, Expanded Back, Expanded View AntiFog Visor System, 2 Exhaust Valves, 48” Gas-Tight PVC Zipper, Double Storm Flaps with Hook and Loop Fasteners, Attached Sock Booties with Splash Guards, Double Sealed Seams, Knee Reinforcements & 2N1® Glove System. 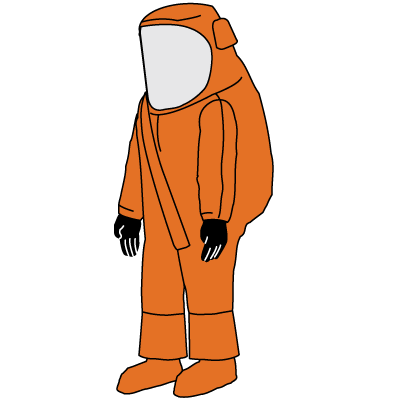 HazMat Rear Entry, Expanded Back, Expanded View AntiFog Visor System, 2 Exhaust Valves, 48” Gas-Tight PVC Zipper, Double Storm Flaps with Hook and Loop Fasteners, Attached Sock Booties with Splash Guards, Double Sealed Seams, Knee Reinforcements & 2N1® Glove System. Front Entry, Expanded Back, Large PVC Visor, 1 Exhaust Port, 48” Zipper, Storm Flap with Hook and Loop, Fasteners, Attached Sock Booties with Splash Guards, Serged Zytron 200 Seams & Sewn On PVC Gloves. Rear Entry, Expanded Back, Large PVC Visor, 1 Exhaust Port, 48” Zipper, Storm Flap with Hook and Loop, Fasteners, Attached Sock Booties with Splash Guards, Serged Zytron 200 Seams & Sewn On PVC Gloves. 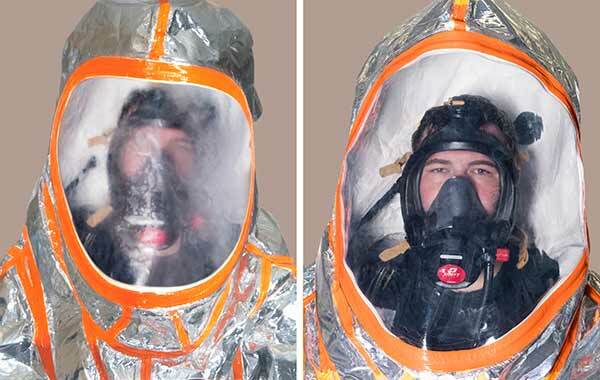 Vapor Total Encapsulating Suit, Front Entry with Expanded Back, Double Heat Sealed/Taped Seams, Large AntiFog Visor System, 2 Exhaust Valves, 48” Gas-Tight PVC Zipper, Double Storm Flaps with Hook and Loop Fasteners, Attached Sock Booties with Splash Guards, Field Replaceable 2N1® Glove System and Removable Knitted Kevlar Overgloves. ** Chemical Warfare Agent testing was conducted in accordance with MIL-STD-282 and/or NFPA 1994-2001 with breakthrough times reported based on total cumulative permeation. 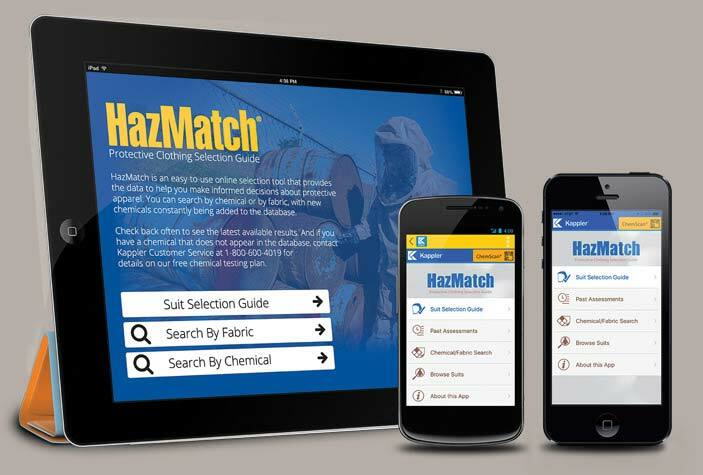 Need to see all the chemicals tested against the Z500 Fabric?